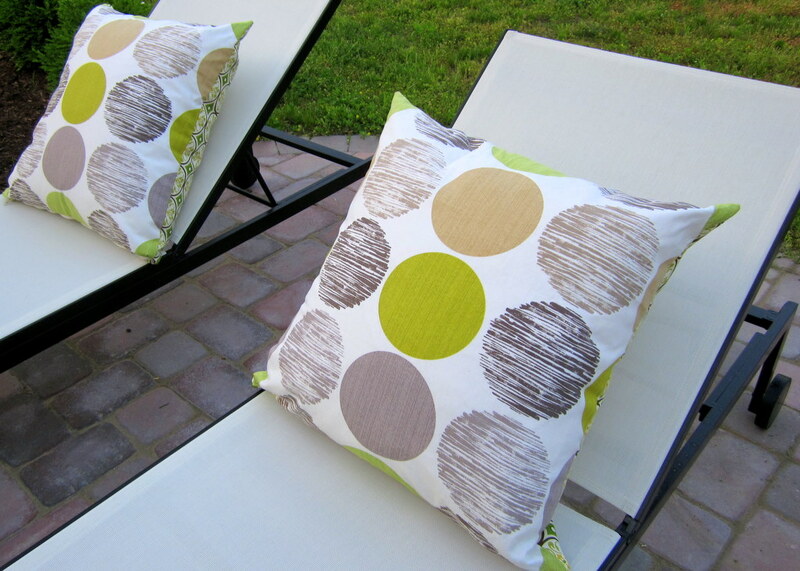 I wanted to make some nice big pillows for the new chaises we bought for the patio. So I got some outdoor fabric from JoAnn’s and made these 26″ lovelies. Originally I was going to use my stash of canvas fabric for these and treat them with waterproofing spray, but I actually really liked these prints and decided to just save the step. I like the fabric on the backs, too, and I bought a pink colorway of this print to make some smaller pillows for the rest of our patio furniture. I just cut out 26″ squares from each of the fabrics, sewed a zipper to them (that was the worst part, I don’t like zippers), and then finished sewing up the covers. 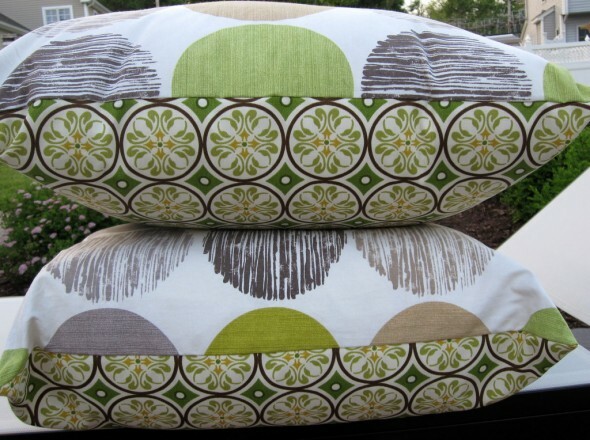 They’re stuffed with 27″ pillow forms. When I make the small pink ones, I’m not putting in zippers. Envelope backs aren’t very water proof, so I think I’m just sewing those suckers in. I really dislike zippers, but I do love these.